I know it's Queen Primrose and King Thomas :) Hope this helps! This is true. The King's name is King Thomas and the Queen's name is Queen Primrose. i think there name queen amelia and king marcus im not sure i just zei like this because i saw a page on facebook called "Queeen amelia(Queen of corona) and another one called king marcus(king of corona) I Hope this helps!!! I don't know what their names are. I know that Aurora's mother's name is Leah. 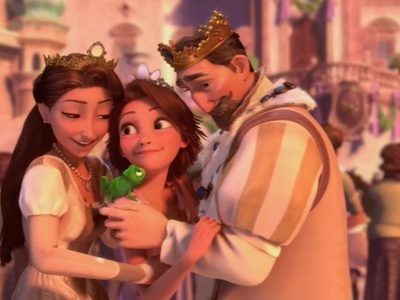 Rapunzel's mother's name is Queen Primrose. Julianne and Henrik VII i don't know. It looks like there names would be Queen Lilliana and King Henry. I don't know, but I know that the Anna's parents are Queen Iduna and King Agnarr. Hope this helps!!!!!! !